It's time to make a side trip back into the deep, dark twisty woods just beyond Sweet November Land. There we will find the place of haunted houses, creepy castles and mad scientist labs galore. This spooky village is inhabited year round by a host of quirky characters that are both a little sweet and a little sour. The only time that they venture out into our world is on that one special night of October 31st. It is then that they can blend in with the crowds of innocent trick-or-treaters and play mischief on all they meet. As we leave Spookville behind us and travel back through the dark woods on our way home, a small, lonely cottage catches our eye. After all we've been through perhaps we should avoid this mysterious abode. But as we walk past a low window a pair of curious eyes peek out at us and a tentative meow can be heard. Drawn in to investigate we stumble on quite the scene... it appears to be a witch's cottage and she has left her kitten, Midnight, all alone for the evening. In her absence Midnight has been a very mischievous kitty, from the look of things he has been playing in the cauldron and spilling potions all over the floor. Then he must have let all the toads escape on his way to batting around the black widows in the corner. Finally, after leaving all that mayhem in his wake, Midnight has tired himself out and finds an extra hat to snuggle down on for a quick cat nap. Awww... how cute! But wait, I doubt the witch will be very happy when she returns and finds her cottage all in a shambles and I certainly don't want her to blame us for the destruction! We had best hurry back on our way before we find ourselves turned into one of those critters that Midnight enjoys toying with so much. 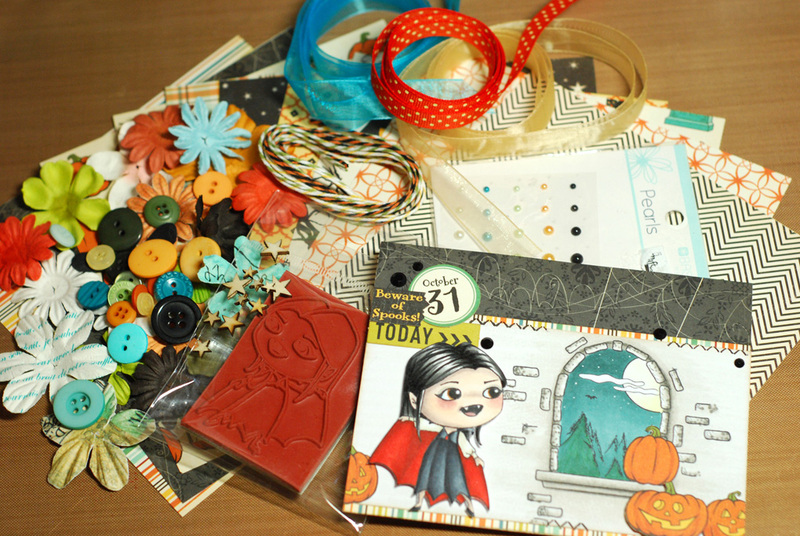 The Midnight's Mischief candy kit includes; one Sweet November Midnight's Mischief rubber stamp set, ten 6x6 sheets of October Afternoon Witch Hazel paper, Prima flowers, Kaiser Craft pearls, ribbon, twine, buttons, Studio Calico wood veneer stars, star stick pins, four envelopes, four card blanks and my card. All you have to do for a chance to win the candy is leave a comment on this post. If you link to the candy on your own blog that is great and much appreciated but not a requirement... I want everyone to be able to play along. And when I say everyone, I mean everyone. I will ship the candy anywhere in the world so everyone is encouraged to play! :) The candy will stay open through Friday, August 2nd and I will announce the winners on Saturday, August 3rd. And that is a wrap on the August Sweet November previews. 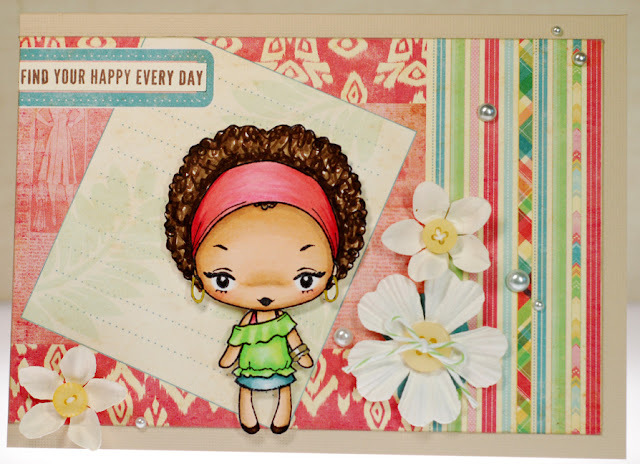 There is more Sweet November fun happening on the CC Designs blog today with even more chances to win these new stamps so head on over and check it out! Even though we got out of going to that questionable Monster Mash party we still find ourselves exploring the crooked streets of Spookville. Down dark lanes and eerie alleyways, it seems as if every step we take is being watched by strange eyes. Before we know it everything seems turned around and we find ourselves completely lost. Lucky for us a small green monster comes bouncing out of the shadows and introduces herself as Frannie. She exclaims with delight at the sight of us and explains that she has been looking for our group ever since her boyfriend Frankie mentioned running into some crazy crafters. It isn't every day that Spookville gets visitors so she just had to see us for herself. Frannie doesn't know quite what to make of us but when we ask for her help she is happy to oblige. She quickly leads us through the winding streets until we are back on the edge of that now familiar forest. Frannie asks if we truly have to leave so soon... there is a great after party later in the evening with all sorts of shenanigans planned. But if we want to make it back home before dawn we really should get moving. 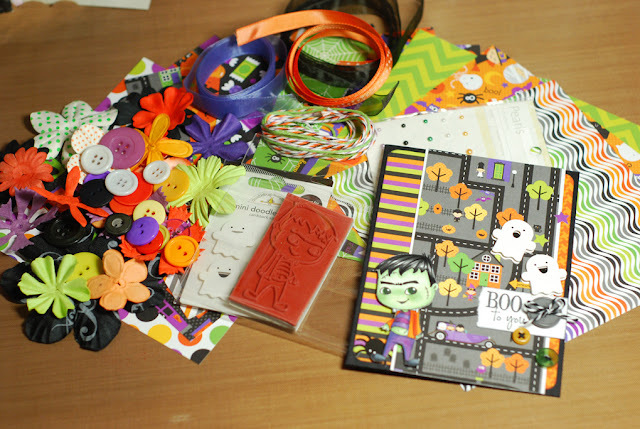 The Frannie candy kit includes; one Sweet November Frannie rubber stamp, eleven 6x6 sheets of Doodlebug Halloween Parade paper, Prima flowers, Kaiser Craft pearls, ribbon, twine, buttons, Studio G stamp set, four envelopes, four card blanks and my card. That's it for day three of the Sweet November August previews. There is one more day of previews left and we've got a very mischievous little character to introduce to you then so don't miss out! Monster madness and some candy! As we leave the spooky forest behind us the simple path below our feet gradually turns into a clearly defined road. Do we follow where it leads or make our own way into the unknown murky surroundings? At this time of night I'm thinking we should stay on the road and see where it takes us. Before long we crest a small hill and find ourselves looking out over a quirky little town full of colorful houses and crooked roads weaving through them. We decide to take a look around the odd little neighborhoods and the first inhabitant that we meet is a green monster in a flashy orange and purple suit. He introduces himself as Frankie and asks us if we are there for the annual Monster Mash party. We tell him that we didn't know about a party but it sure sounds like fun. Frankie excitedly recounts all of the highlights from past Mashes and the more he goes on about bat's eye punch, tongue of newt poppers, and electrode boogaloo the more hesitant we are about actually attending. So when a hearse pulls up offering a ride, Frankie jumps in but we suddenly remember a very important appointment that we forgot about until just this moment. He's disappointed to hear that but encourages us to stop by the festivities if our appointment runs short. 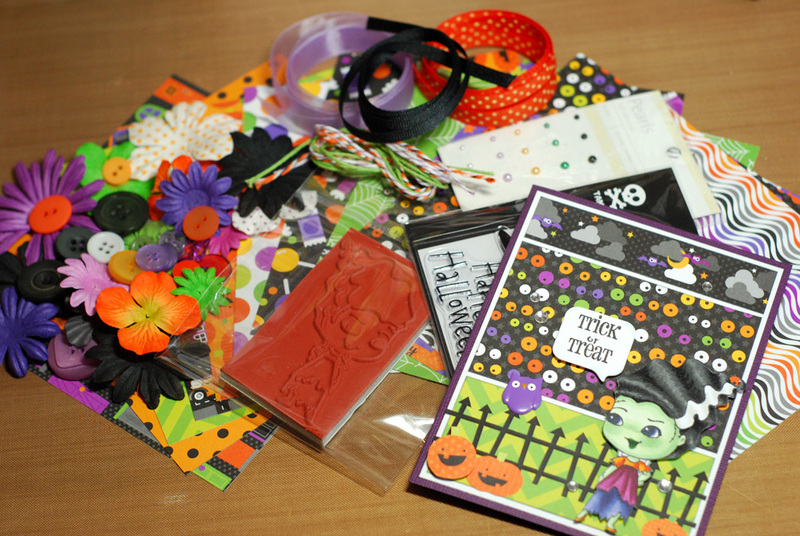 The Frankie candy kit includes; one Sweet November Frankie rubber stamp, eleven 6x6 sheets of Doodlebug Halloween Parade paper, Prima flowers, Kaiser Craft pearls, ribbon, twine, buttons, Doodlepop stickers, four envelopes, four card blanks and my card. 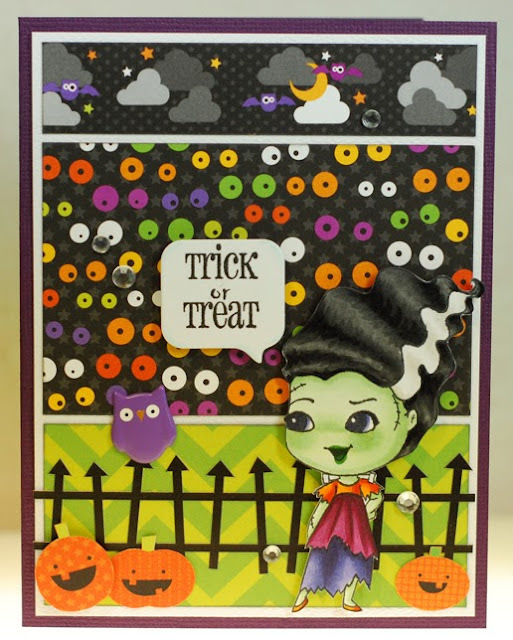 Now you'll want to shuffle on over to the Sweet November Gals' blogs where Nancy and Tress have got some real monster mash bashes going on! :) Instead of using random generator I will be printing out names and tossing them in a hat SO if you leave a comment for the SN gals on their blogs, you will get extra names in the hat... this will up your chances of winning the candy. Fun, fun, fun! Thanks for joining us on this second day of Sweet November August previews. 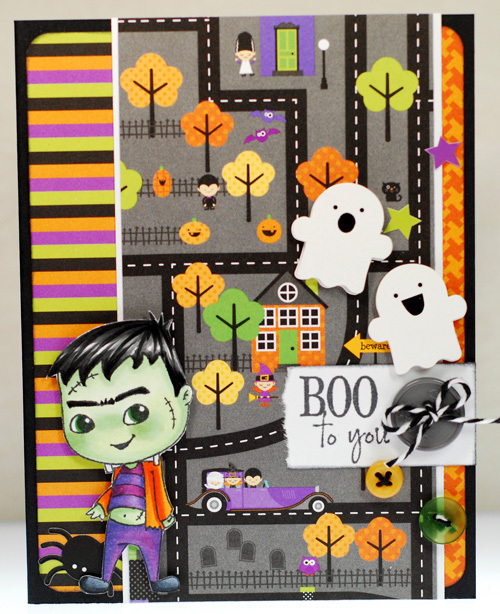 The monster mash continues tomorrow so don't miss that! Beware of spooks with candy! The hour of twilight nears as an imposing stone castle rises up out of the forest of pine trees before us. After our past experiences I'm hesitant about entering any of the strange abodes in this place but with night falling perhaps we would be safer to get inside. It's cool and dark as we make our way up the tall tower, brushing cobwebs away with each step. Finally we find ourselves in a spacious room overlooking the trees below, the only illumination coming from a group of grinning jack o'lanterns and the full moon outside. Suddenly we hear the sound of wings beating the night air as a tiny bat flits in through the window. Just as quickly as the bat appeared it spins and disappears into a puff of eerie mist only to become a sleek little vampiress. She introduces herself as Tish and she is thrilled to have a new audience to show off her brand new silk cape to because the jack o'lanterns never seem to appreciate her keen fashion sense. We all agree that she looks quite stylish and Tish excitedly explains that she got her new ensemble because her beau, Thurston, is due to arrive soon. She then gives our group another look as if an idea has come to her and she wonders if we might want to join them both for dinner. But the way she keeps eying our necks tells me that this is one dinner we don't want to be a part of. So we quickly decline her invitation as politely as possible and high tail it back downstairs. The Tish candy kit includes; one Sweet November Tish rubber stamp, ten 6x6 sheets of October Afternoon Witch Hazel paper, Prima flowers, Kaiser Craft pearls, ribbon, twine, buttons, wood veneer stars, four envelopes, four card blanks and my card. 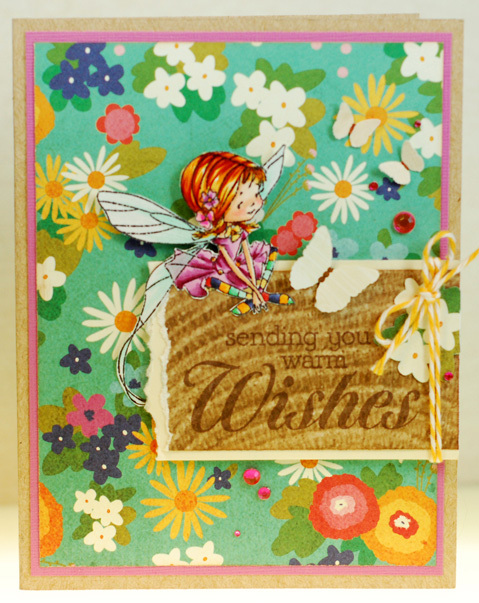 Be sure to fly on over to the Sweet November Gals' blogs next! You will be positively mooning over the cards that Nancy and Tress have created! :) Instead of using random generator I will be printing out names and tossing them in a hat SO if you leave a comment for the SN gals on their blogs, you will get extra names in the hat... this will up your chances of winning the candy. Fun, fun, fun! 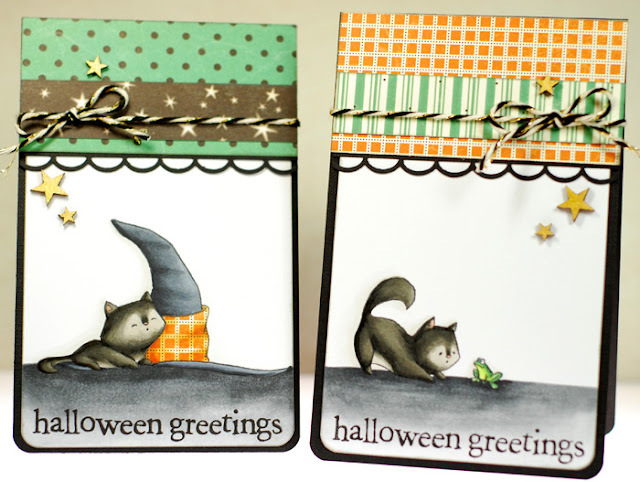 I hope you have enjoyed this first day of Sweet November August previews. We have even more Halloween fun in store tomorrow! Alrighty, well I'll see ya again tomorrow... August SN previews will be starting and like I hinted, we will be leaping ahead to the next season for this one. 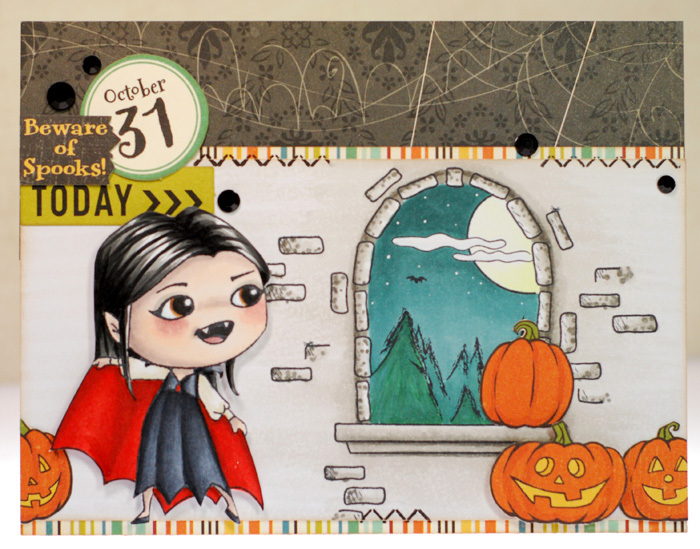 I've been kinda bummed since Annie Rodrigue took a leave from stamp designing because I really miss seeing new images added to the Moonlight Whispers range at Kraftin Kimmie Stamps. Those wild eyed girlies always made me smile and I kept hoping for new fairies and mermaids to add to my collection. As I flipped through my stamp binder to find someone to color I got to thinking about tweaking an image to make it feel like I had a new stamp to color. Now I know that stamp altering isn't anything new for me but I was still surprised that I hadn't come to this conclusion a bit earlier. Okey dokey artichokie, I'm off to get myself ready. Enjoy your day! And yes, I'm using the Pebbles Lakeside papers again on my card today but I promise to take a break from it for a bit after this one. I wanted to use up more of that colorful floral print because it makes me happy just looking at it. 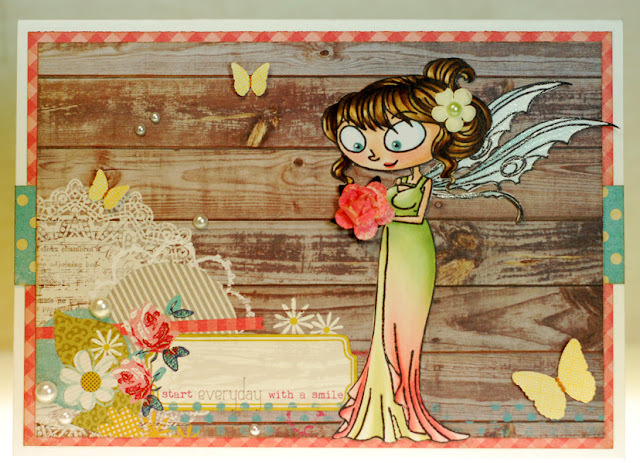 This time I went with a Pergamano fairy from the Summer Fairies set. The stamp has her sitting on a mushroom but I fussy cut it away so that she could rest right on that sentiment block. Of course she had to be just as bright as that garden behind her so I used a lot of the same Copics that I did on yesterday's card. Naturally all the recycling of goodies made this come together super quick. Alrighty friends, I'm outta here. Ok then, it promises to be another busy day so I'm gonna post and run. Well, I guess I should wrap this up and get my day started. 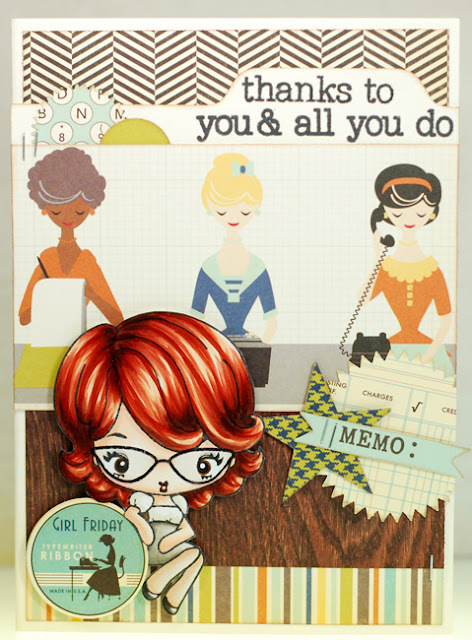 When I sat down to create yesterday, I had a pair of new TGF stamps staring at me from my desk top. Cheeky Lessons in particular was working very hard to get my attention so I simply had to ink her up for my card. I altered her just a bit by wiping away her winking eye before stamping and then tracing in a different Cheeky's open right eye. Once she was looking all bright eyed and bushy tailed I decided to check out what challenges were going on this week to see if I could play along. 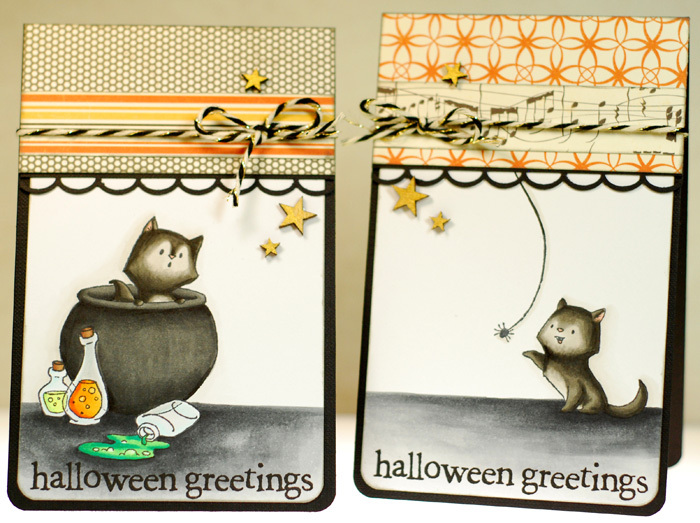 The Farm Fresh Friday challenge is to use dies or punches and luckily I had just enough time to get a card entered into it. Okey dokey, time for me to skedaddle. Alrighty, I'm half way through my 10 day work week and I guess I should be getting myself ready for it. Thanks for stopping by and I'll chat at'cha later! Because I wanted to get the entire Beach Day Buddies set colored and off my desk I figured why not use Tia and follow the July sketch challenge over at Some Odd Girl one more time. For this card I spun the sketch on its side for a whole different look. The old sandy paper is still there but this time I paired it up with some Echo Park scraps that have one of my most fave color combos ever. Tia was colored up to match and voila... mission accomplished... both of the Beach Day Buddies have finally fulfilled their stampy destiny, LOL! Alrighty guys, I gotta run. Have a great one! I've got another fun day ahead of me today. I get off work earlier on Sundays so my mom and I will be heading to town in the afternoon for our annual trip to the Hallmark ornament premier. We each have our series that we collect, I'm a snowman and fairy girl while Mom loves Snoopy, and until last summer we had never missed a premier weekend. I think we are both doubly excited for it because of that... it's another big milestone after the whole ordeal of her illness and long hospital stay. Ok, so considering we are mid month already I figured it was time to get a card made for the July sketch challenge over at Some Odd Girl. I've been running around so much lately I knew that if I waited any longer I'd probably forget and miss out completely. I also really wanted to color up Tobie and Tia from the Beach Day Buddies set because I have actually had them stamped up and waiting on my desk since last summer. Oy! The Lone Ranger was cute but not amazingly fantastic or anything. I probably should have saved the trip to town and waited for it to hit DVD before watching it. So I ended up spending most of my last day off shopping to make the whole drive worthwhile. 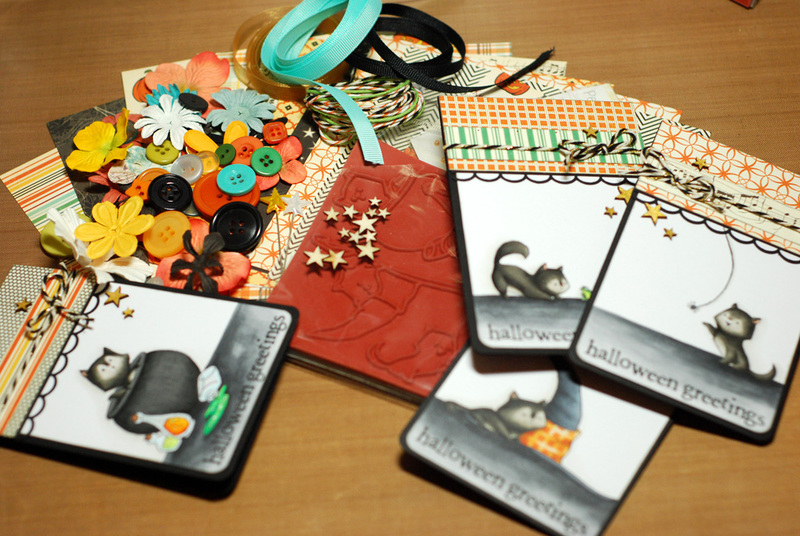 Which totally made me slack off on the card making thing. There are two other stamps in this first Roberto's Rascals release and you can see a bunch of fab cards featuring them over on the CC Designs blog today, so check that out! Stay cool and I'll chat at'cha again tomorrow! It took a good chunk out of my day yesterday but I was super productive and got a lot of what I most needed to take care of crossed off my to-do list. Yeah me! I even made time to stop at the car wash while I was out and about because poor W3 was looking a bit grimy. I'm happy to report that she's nice and shiny once again, LOL! Well that's all I got folks. 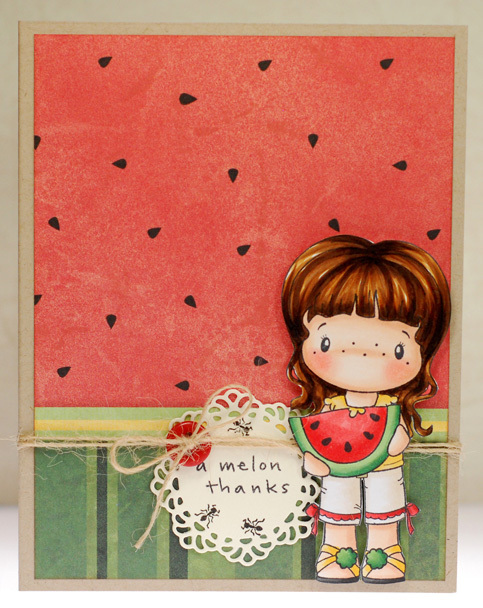 There are loads more cute cards featuring the July release over on the CC Designs blog so check that out. And I'll see ya manana! 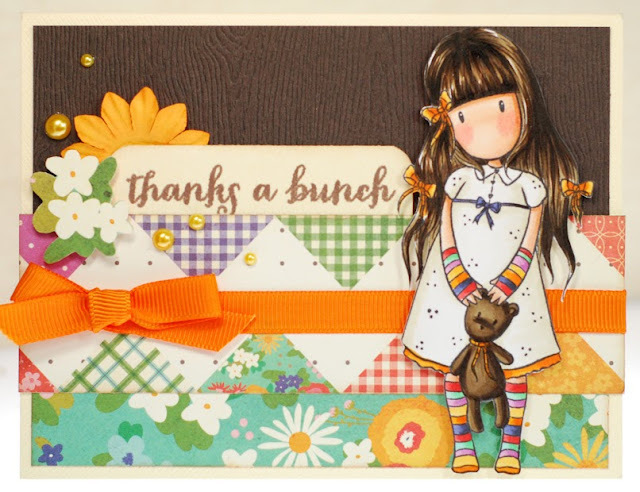 I actually started this card on Sunday with the intention of entering it into the anything goes Garden Variety challenge over at TGF. Alas, I got busy and didn't finish it in time and there was no way I could make this work for the red, white and blue FFF challenge. Still, it seemed a shame not to finish it, especially since this was my first time inking up miss Charlotte Chic here. Ok, well I've got a couple days off ahead of me and loads of things to cross off my to-do list before I can really sit back and relax. Wish me luck! I hope all of my U.S. friends survived the big holiday weekend. I had a lot of fun but we do have a small forest fire burning up lake because some yahoos thought it would be fun to shoot fireworks off from their boat. Thankfully the smoke isn't too bad and with any luck they will have it out before too long. 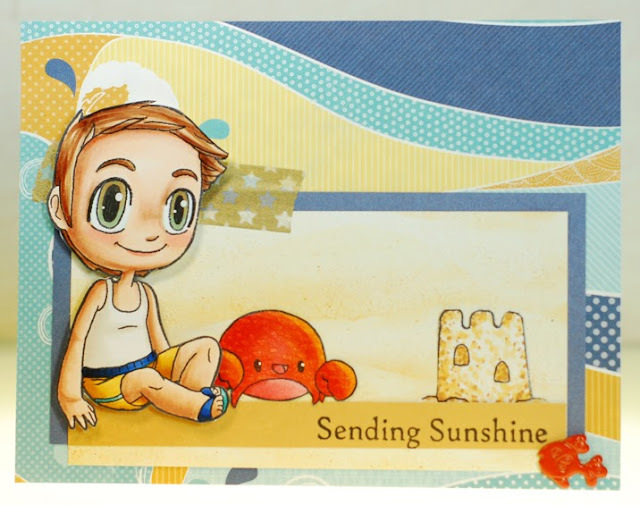 There are so many great summer inspired stamps this month and all of the CC Designs July release is available now and can be found in the CC Designs store! We've got winners making a splash! Anywho... I know you are all here because it's time to announce the winners of the Sweet November July release! This month we have taken to the ocean and have been swimming right along side the new little mermaids as they make their first journey up to the surface. Big thanks again to everyone who came out for the July previews. 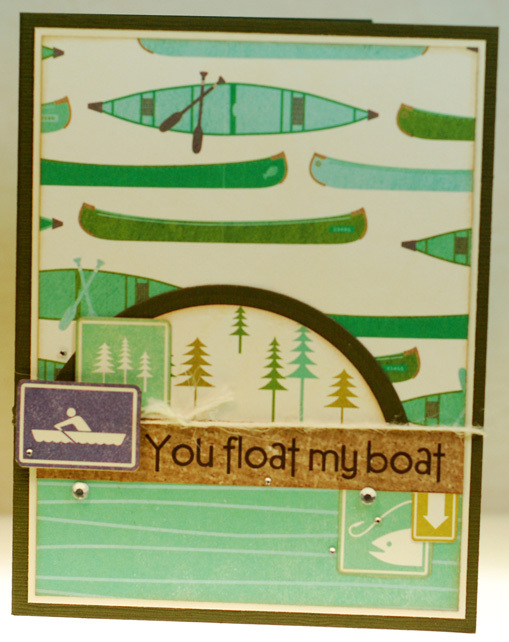 Don't forget that all of the new stamps and die cutters are now available in the CC Designs store. As always, it's been so much fun and I can't wait to see the fintastic cards and projects created with our new mermaid friends! Unlike her sisters, Hanalei is a bit nervous about going to the surface for the very first time. Up until now all she has known is the calm, gentle swaying of the kelp beds and the lazy currents around the clam shell nursery where she has grown up. Finding herself on her first big adventure up to the surface she's not sure whether she likes all the hustle and bustle of topside activities. With a bit of coaxing from us and the reassurance of a friendly pair of sea turtles little Hanalei finds the courage to leave her comfort zone and explore new horizons. Before long she can't even remember what she was so scared of as she plays in the surf with Nami, Nalu and all of her new found friends. 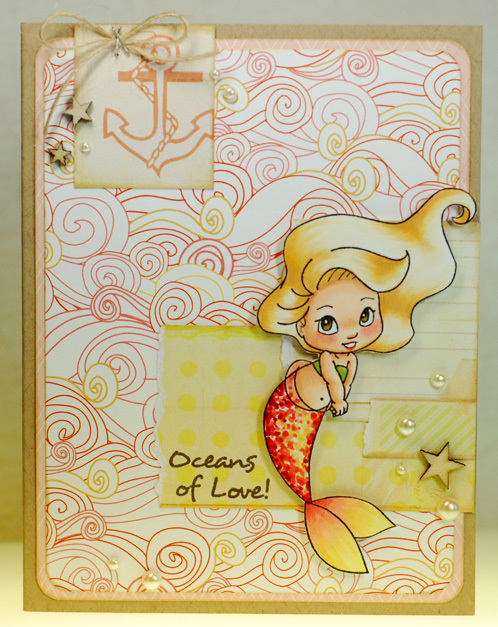 The mermaid Hanalei candy kit includes; one Sweet November Hanalei rubber stamp, ten 6x6 sheets of BoBunny Barefoot and Bliss paper, Prima flowers and Kaiser Craft pearls, ribbon, twine, buttons, washi tape, four envelopes, four card blanks and my card. All you have to do for a chance to win the candy is leave a comment on this post. If you link to the candy on your own blog that is great and much appreciated but not a requirement... I want everyone to be able to play along. And when I say everyone, I mean everyone. I will ship the candy anywhere in the world so everyone is encouraged to play! :) The candy will stay open through Friday, July 5th and I will announce the winners on Saturday, July 6th. 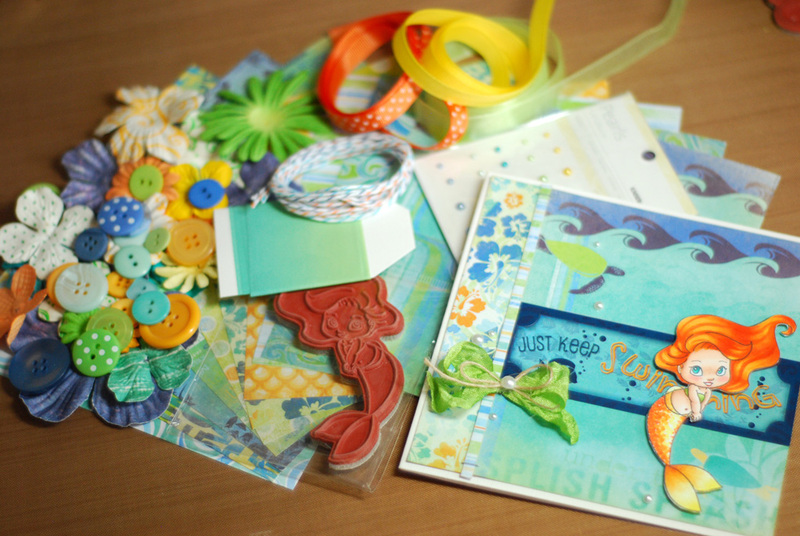 Take a minute to float on over to the Sweet November Gals' blogs next! 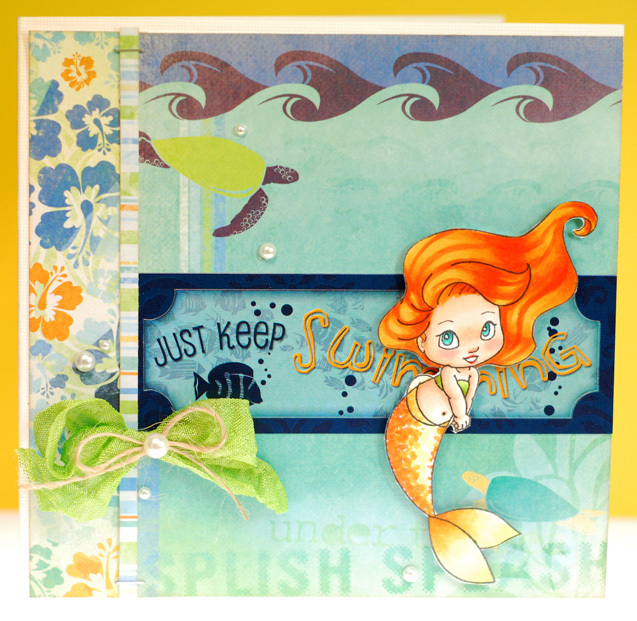 Nancy and Tress have really brought shy little Hanalei to life on their fantastic cards! :) Instead of using random generator I will be printing out names and tossing them in a hat SO if you leave a comment for the SN gals on their blogs, you will get extra names in the hat... this will up your chances of winning the candy. Fun, fun, fun! And that, my friends, wraps up the Sweet November July previews. Thanks so much for stopping by each day to welcome these new mermaids into the Sweet November family. If you want even more chances of winning these cuties don't forget to check out the CC Designs blog which is also featuring the SN Mermaid set in the preview today. Splish splashin' previews and candy!